During the first break-out session of the 2012 Oregon NAME (National Associate for Multicultural Education) Conference I attended a session led by Sonja Ljungdahl and Isaac Bass titled Building Student Engagement for Math and Science in a High-Poverty School. In this session Ljungdahl and Bass drew on their teaching experience to highlight several key components of their high school classrooms. 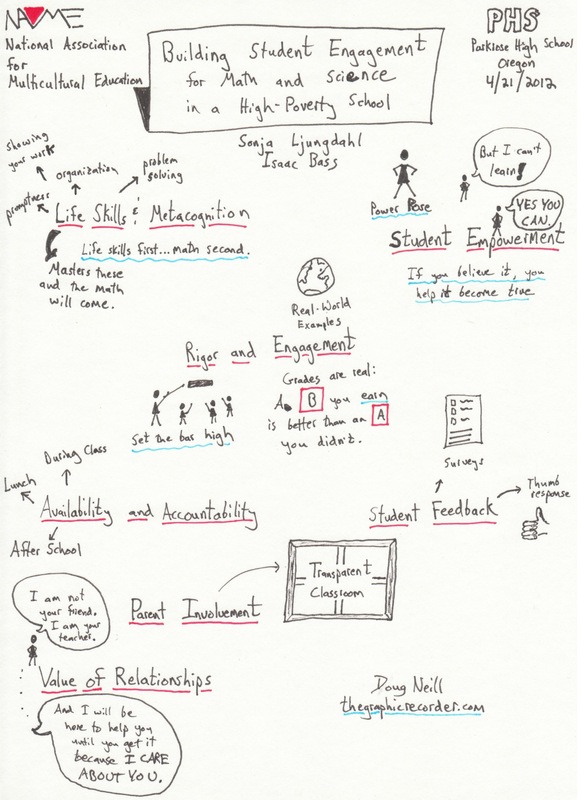 In the sketchnotes above I have attempted to capture those components.